Welcome to the CAPE Technologies web site. experience in this field are a valuable part of our products. at left to find the information you need. - We sell both kits and analytical services based on those kits. for use in Method 4025. 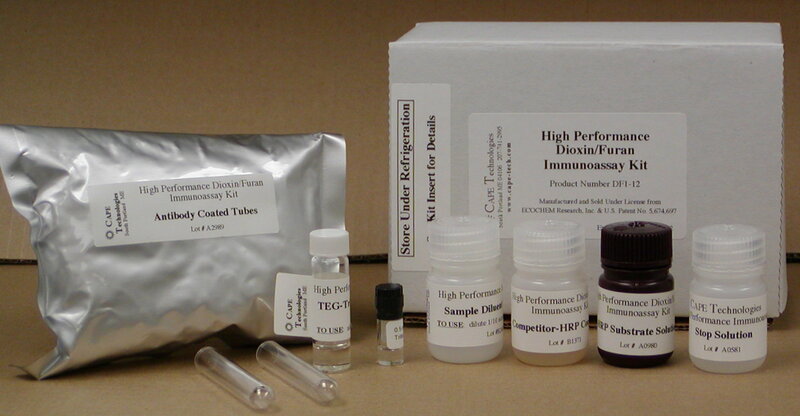 - We sell sample preparation kits to support our immunoassay kits. - Our kits can be used for many types of samples over a wide range of levels. - Method 4025 can be performed on site in a small and simple mobile lab. - Check out our FAQ section for a lot of useful information. - Contact us if you have questions.